Police Lieutenant H. W. Hammil yesterday resigned to become a private detective at the Hotel Baltimore. Hammil succeeds Edward Hickman, who leaves the hotel to go into business with his brother. Lieutenant Hammil has been a member of the police department for nineteen years. Seven years ago he was promoted to a seargency and two years ago was made lieutenant. While his advancement may not have been as rapid as many who went on the force after he did, there were reasons for it. He was always averse to turning "crooks" loose because some petty or big policeman requested it and he always did his full duty in spit of who it hurt or what political interests were disturbed. That one thing, more than anything else, mitigated against rapid promotion. 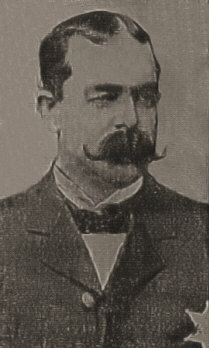 Hammil was made a lieutenant during the Governor Folk "rigid police investigation," while it was in its incipency, in fact. One day an officer who had made charges against John Hayes, then chief of police, was cursing the chief and Frank F. Rozzelle, then a commissioner, down in Central station. Hammil ordered the man to stop such talk or something "would be doing." As soon as Governor Folk had peremptorily removed Commissioner Rozzelle by wire and the new board had been organized and John Hayes dropped from the department, Hammil was ordered removed from headquarters, where he had served the better part of his life, to No. 4 station at Fifteenth and Walnut streets. The records will show that while other districts, notably headquarters, have had a full quota of men and more, too, No. 4 has been handicapped with barely half enough men to do proper police duty. Hammil's watch, especially, never had a full complement of men the whole time he was there. It is said that if an officer got sick, crippled or otherwise "defunct," he was detailed to Hammil's watch. Handicapped as he was, however, he always went along with out complaint and kept up his end of the string. As soon as Hickman resigned from the detective position at the Hotel Baltimore, D. J. Dean sent for Hammil and offered him the place. It is better pay and far more pleasant work -- no more knockers, no politics. "I am sorry to leave some of my old friends on the department," Hammil said yesterday, "but I am glad to get away from a place where you felt all along like you were sitting on a dynamite bomb. If one 'crook' was arrested here would come a kick from his political friend, and when another fell into our hands here would come another 'gang' of political kickers. I always let 'em kick, though they always threatened to get my job." The board took no action on Hammil's successor yesterday, Commissioner Elliott H. Jones being away hunting ducks. It may be left for the new board to fill. F. F. ROZZELLE CRITICALLY ILL. The operation for appendicitis was performed on F. F. Rozzelle, former city counselor and police commissioner, at South Side hospital by Drs. Samuel Ayres, Howard Hill and Jacob Block at noon yesterday. The disease had reached the acute stage and an operation was found necessary. Mr. Rozzelle has been ill off and on for the last three months, and three days ago appendicitis developed. Saturday night it was concluded by his physicians to operate on him, and he was sent to South Side hospital. "Mr. Rozzelle's condition is very serious," said Dr. Ayres last night, "but still I have not given up hopes for his recovery." After the disgraceful proceedings at the meeting of the police board Wednesday, when Chief John Hayes was removed so unceremoniously and Patrolman Harry Arthur had made what many thought was an attempt to shoot former Commissioner Rozzelle, the patrolman remained about headquarters until late in the evening. He was grumbling in an undertone and at intervals, demanding his revolver and club, which had been taken away from him by Chief Hayes and turned over to the board. Mayor Beardsley, in fact, ordered the chief to remove Arthur's revolver after Commissioner Gallagher had requested that "the new chief" be sent for to preserve order, even though several policemen were in the room and a human live seemed in danger. Arthur demanded his revolver several times of Lieutenant H. W. Hammil, in charge of the desk, but that official would not give it to him. Finally the policeman left the room and returned with Lieutenant Charles Ryan, recently elevated by Mr. Gallagher on request from Governor Folk, and now acting inspector of detectives. "Give this man his gun," Ryan commanded of Hammil. "The board took no action on the matter, and you have no right to hold it." "The revolver was sent down to this desk from the board room," said Hammil. "I know nothing of what took place up there. It will not be returned, however, until I get some order from the board or some responsible authority. 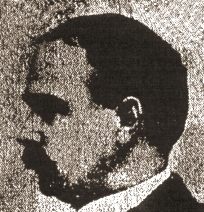 Lieutenant Hammil then called up Elliot M. Jones, the new Folk commissioner, who had voted to oust Chief Hayes without hearing one word of testimony. "Better give it back to him, I guess," the commissioner said. "It is not being held by order of the board." "I heard rumors of what had taken place up in the board room yesterday, and I wanted to get a report from Arthur about it. I held him there thinking that if the board wanted to suspend him him for what he did some action would surely be taken and I would be notified what course to pursue. As no one called me up about the case, however, I let Arthur go after he had made a statement to me regarding his actions in the board room. He said he had no intention of shooting anybody, that his club simply fell on the floor and he had stooped to pick it up." Acting Chief Ahern said he had examined no other witnesses about Arthur's action in the board room. "I am going to investigate that," he said, finally. "I will look into the matter further and have a talk with the commissioners to get their opinions." The members of the board were not in the position to see as much of the patrolman's actions as the men who stood nearest to him -- behind him, in fact. Chief Hayes was watching him closely, as Arthur is known to have a violent tempter, so when he saw the club fall to the floor and the man's hand go back under his coat he took the initiative, ran to the man and pinioned his arms to his side and held him, with the assistance of others. It is not known that Mayor Beardsley had anything to do with the returning of Arthur to work yesterday morning. He said later in the day that Arthur would have to answer to the board for his actions before that body. He also said that at the meeting today he would produce several witnesses who will swear that Arthur tried to draw his revolver at the time he was seized by Chief Hayes. It isn't very reassuring news that comes from Jefferson City. Police Commissioner F. F. Rozzelle has been removed from office because of his refusal to aid Folk in turning the police force into a Shannon-Folk machine. Police Chief Hayes is to be ousted for a more pliable, and probably less efficient, person. And now the threat comes from the state house that at least twenty-five other members of the force, including a number of high officers who have given years of their service to the department, are to be summarily dismissed. The police department is to be torn wide open. The work of constructing of the Shannon-Folk machine will begin at the top and move downward. Elliot H. Jones, a former college classmate of Folk, has been appointed to succeed Commissioner Rozzelle. Before Folk appointed him he was called to Jefferson City for a midnight conference with the governor that was so satisfactory his appointment was announced yesterday morning. The friends of Governor Folk are amazed over his self-exposure and in all Kansas City yesterday not a reputable citizen -- without an ax to grind -- volunteered to defend him for his course in destroying the present efficient police force. Governor Folk's unwarranted slander on the police department was ably answered by Mayor H. M. Beardsley and ex-Commissioner Rozzelle. No well informed person, unprejudiced, pretends to believe that Folk wrote the statement signed by him or that the statement even is true. Folk's before-election pledges of "home rule" for Kansas City have proved idle chatter. His promises to keep the police out of politics were made for political effect. No governor of Missouri in recent years has gone deeper into the mire of police politics than Folk. An order was sent to Chief Hayes yesterday afternoon by the police commissioners to positively prevent the explosion of firecrackers within a block of any public or private hospital. The same proscription will be made around private residences where there may be sick people. If they will send their addresses to the chief," said Commissioner Rozzelle, "he will see that the sick people are not disturbed." A new phase has arisen in the police row. 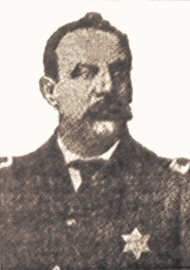 Despite Governor Folk's known vexation over the retention of Captain Weber, based upon Mayor Beardsley's written opinion, which the governor has, it is predicted when the commissioners vote this week on the question of recommissioning the superiors, Commissioner Rozzelle will vote as he did on the day of the trial, to clear him. What Governor Folk will then do remains to be seen. The mayor's opinion, which was published in the Journal, said that the evidence showed that Captain Weber lived in a block which he owned, and that there was a gambling room in it for months, which was equipped with push buttons and other signals. The mayor, discussing the seeming conflicting opinion and vote, and answering the question whether he would reverse himself or stand pat, said yesterday that he thought he would veto again as he did at the trial. "I gave the captain the benefit of the doubt," said the mayor. "I remember we went into the question exhaustively. I do not think I shall reverse myself." Commissioner Rozzelle was strongly opposed to any reflection being cast upon the headquarters captain at the trial, so it is not likely he will turn about unless the mayor does. "They dare not do it," said Alderman Pendergast yesterday, speaking of the investigation. "The mayor dare not do it, he dare not investigate the police unless he investigates the city hospital. I am not the man to start trouble, but if I have to throw the administration's city hospital onto the mayor to keep him from making trouble for the police, I am in for doing it this time. Take a peep under the lid at the hospital and you will decide that the police and the detectives are a department of saints. They mayor dare not investigate the one without investigating the other. I am not screening crooks. If there are grafters on the department, find them and find them quick, but find those in other departments, too, while you are at it." Alderman Pendergast for many years was the main support of the police department. He is now being called into service again and yesterday was industriously at work in behalf of the department. The commissions of all the superiors, including Chief Hays and Inspector Halin, expired yesterday. The men will be serving legally until they are recommissioned or their successors are appointed to relieve them. Inspector Halpin is said to be withholding his resignation solely because men in his department are under fire. He is said to have made $50,000 in the last five years as a partner with his brother, James Halpin, in the contracting business, and has been wanting to give his whole time to that business for some months. Now that he is under charges of running his department loosely he is hesitating about resigning, but his friends are saying for him that he would no more than thank the board for a new commission. When the commissioners meet tomorrow morning it will be to talk over the reorganization. Commissioner Gallagher will be for postponing everything till the governor can come, as he has said he will. Commissioner Rozzelle will favor issuing new commissions at once. They mayor will have the deciding vote. He favors Chief Hayes and on the day of the trial of the cases of Detective Kenney and Huntsman said "they are two of our best men. Accordingly it is possible that the mayor may vote to recommission. Commissioner Gallagher said yesterday he did not think there would be an investigation. "It is a joke to think the policemen would testify against their superiors. The Latcham case shows what would happen to them if they did. They would get on the stand and tell nothing, or worse than nothing. We know enough now to decide whether new commissions ought to be issued. It will not take me long to decide. I know what the governor wants. I think Mr. Rozzelle knows, too. A SHAKEUP FOR THE FORCE. "I believe a majority of the men on the force are what they should be, but among so many men there may be some who do not measure up to standard. There are just as many honest men among policemen as in other walks of life, and there are probably just as many dishonest men proportionately. Crookedness among the police, however, has a more injurious effect upon the public than crookedness elsewhere. A man in uniform is still a man. In the instance of Kansas City, as in any other instance, wrong must be weeded out. No effort should be spared to eradicate and eliminate any element of wrongdoing." In view of the governor's decision to come to Kansas City it is possible that there will be no final orders issued in the matter of dismissals until he does come, though it is agreed by all the commissioners that they will begin the investigating work next Monday. So precarious are the chances of Chief of Police Hayes being recommissioned next week that his friends yesterday started a move to hold mass meetings in his interest if necessary. Police Commissioners Rozzelle and Gallagher returned from their interview with the governor yesterday. As the main instigator of the row in the department, Commissioner Gallagher looked triumphant. Commissioner Rozzelle did not seem so enthusiastic. "I happened to be in Jefferson City, said Commissioner Rozzelle, "and I called up the governor at the mansion and asked him when I could see him. He said he was just going to the theater but he would talk with me after he got home again. I went over after the performance. We had a little talk, discussing the police and the reorganization. That was about all there was to it." One dispatch from Jefferson City says Captain Weber was ordered dismissed, and that Inspector Halpin was slated to go and that other changes were recommended on the strength of the testimony given before the board on Wednesday," was suggested. If Sergeant Jerry Lynch takes another drink off goes his official head. The sergeant was up before the police commissioners on a report from Captain Bray that he had been drinking. He testified that when he gets on a toot it lasts a week, but he declared that since his promotion a year ago he had been as sober as a judge. Commissioner Rozzelle was for reducing him, but Mayor Beardsley, who is always in favor of making a convert to the blue ribbon society, voted with Mr. Gallagher to drop the matter and restore Lynch to duty. "With the proviso," cautioned the mayor, "that if you take another drink you will leave the force." "If I take another drink I will not report again for duty," said the sergeant. Chop Suey joints and their environment are to go. A place on West Eight stret was complained about yesterday by Mayor Beardsley, presiding at a meeting of the police commissioners. The mayor protested that such places are merely to admit women to drinking rooms, in a covert attempt to get around the wineroom law. Commissioners Rozzelle and Gallagher agreed with the mayor that it was not so much the "suey" as the bottle of beer that went with it that kept the places going and the women as steady customers. Three saloonmen were before the board on charges of selling liquor on Sunday, all of them having restaaurant attachments. After hearing the evidence in these cases, granting that in no instance was it strong enough for a revocation, the board suggested that saloon men who want to remain in business will have to close up the doors and windows leading to restaurants where women congregate, and where men do their drinking on Sunday.